After the End: NOT a post apocalyptic wasteland??? Hallo guys!!! I’m sure you all thought I abandoned you. Evidently, not the case! Whew! The COYER challenge ended March 3rd, and while I won’t go into much detail now (I plan on writing a post about it soon), it was fantastic, but it threw me into a huge reading… slump-ish thing at the end there. And by association, blogging slump! 😦 So when midnight hit on the start of March 4th, I was prepared with book in hand! Aaaaaand I’ve read three books since then. Fabulous, am I right? So to “ease” myself back into this whole blogging thing (who am I kidding, I’m jumping in feet first! 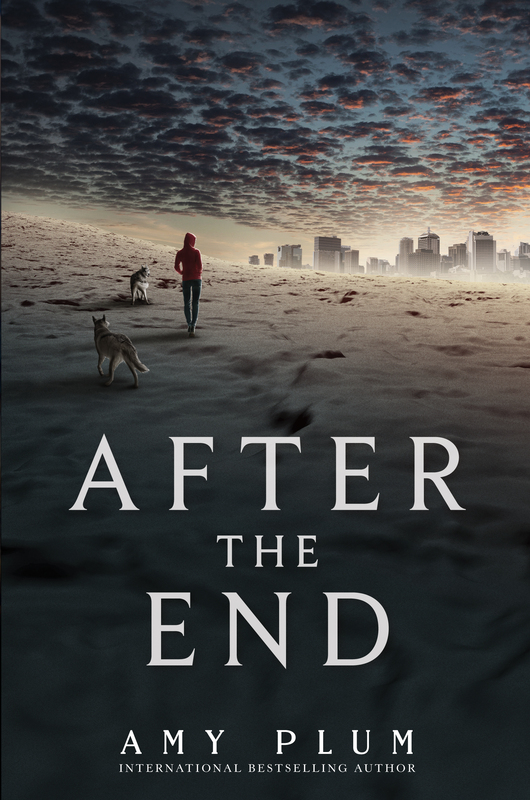 ), I thought I’d start with a review of the book that I’ve most recently (read: just) finished: After the End by Amy Plum! When I thought she was a total nut, it was easy- I didn’t believe a word she said. But now that what she’s saying is starting to make sense, I have no clue what to believe. This book has SUCH an interesting concept. I was actually super worried about this synopsis being a spoiler. I’ve seen that happen with a couple of books before, and it’s always super disappointing (cough The You I’ve Never Known cough), so I was crossing my fingers about this one, since it appears that the synopsis goes well into the book. Fortunately, this is definitely not the case (don’t worry, I wouldn’t post it if I thought it was spoilery)! But as I said in my little mini Goodreads “review” right after finishing it, this book is just so FRESH and DIFFERENT. Post-apocalyptic worlds are interesting and all, but they’re always extremely depressing (hm, I wonder why), and everyone does them! It’s such an interesting idea for someone to believe they are in a post-apocalyptic world… But not actually be? I mean, how insane would it be to be lied to by your parents on that large of a scale for your ENTIRE LIFE??? This book was quite well done! Miles wasn’t quite as fleshed-out as Juneau? Juneau talked about her family, her friends, her past, and her plans for the rest of her life. She was ultimately extremely loyal, which drove her throughout most of the book. Miles, however, had a motive, but other than vague facts about his parents, we don’t see much about him (except that he’s smart). Still, he was very interesting and I definitely hope to see him grow even more as a character in the next book. I would love to know more about his past! The magic (okay, sort-of) factor was super cool. I loved how Juneau’s abilities were so much more realistic than most books. They didn’t necessarily just come at will for her all the time. And although she was the best at them, she still wasn’t just like “PRESTO” and things HAPPEN. It takes EFFORT. And WORK. And it doesn’t always help. Not even in the nick of time right when it would be helpful. And that… Is just life! Just the whole idea… I don’t want to talk too much about it, because it’s super cool to learn more about it in the book, but it’s so interesting to think about. And now I’m like… I CAN READ THINGS. GIMME A FIRE. AND THE PUPPIES OMG HOW COULD I FORGET??? The puppiesssss. I basically ALWAYS cry when dogs die or are injured or neglected (or anything like that) in any way in books. Not necessarily with humans… I often enjoy watching those get slaughtered. BUT MY PUPPIES. THEY ARE SO INNOCENT AND SWEET. And Juneau has two dogs which are the best ever. O-kay, I think I’m going to wrap it up there! I don’t want this to get too long. I’m testing out a semi-new format for reviews. I’m always trying to make them as conversational as possible, while still being professional (especially with review requests). I don’t want reviews to be a chore for me OR you, am I right??? Alrighty then! Overall rating: 5/5 stars! I thoroughly enjoyed this while reading, and found it to be quite unique and fresh. ‹ PreviousPuppies and a cutesy romance. Why not? Next ›The things people search for on the internet! Oh that IS an interesting premise! Can you imagine how awful that would be to be lied to like that and to then discover the whole world you never new existed?!! And oh there’s magic too? This definitely sounds unique, and I’m glad you loved it so much! Can’t wait until you read the SEQUEL! Me either, have you read them? Oooo, I definitely need to get my hands on a copy! I love Amy Plum as a writer, with her Revenant series being one of my favourite reads in the entirety of 2016. 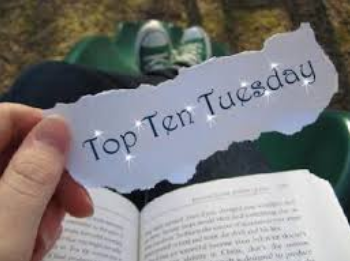 As you say, Plum conjures up the best concepts; a good hotchpotch of all things supernatural and otherworldly, will retaining that relatable and compelling quality that makes it impossible to put her books down. YES! I haven’t actually read her other series, but I definitely plan to (especially after that high praise). EXACTLY! Thanks so much! 😉 Missed you, TT! You’ve got me totally wanting to read this book!! It sounds so interesting. . . AND there are dogs. Yep, AFTER THE END is definitely going on my TBR. Thanks for the rec!! I’ll try to find a way to be okay w/dogs not being in the ENTIRE book, hahahahaha. This one actually sounds really interesting! I just HATE when synopsis have spoilers in them… It’s like, why? Why would you do that??? And it’s so common! Ugh. Dystopias can get super depressing indeed, which is why I rarely read them nowadays. But I guess this one can’t really be called that, so I might give it a try. I’m super curious to find out what happens! Great review, Amy ^^ Glad you enjoyed it so much! Thank you, Amy 🙂 Yeah, I don’t know, some publishers absolutely need to hire better copywriters because that’s just awful!